This page contains the correct answers for the 100 levels in "G is For" pack. The levels are randomized on each device, below you will find the answers sorted in alphabetical order and by number of letters, so you can easily find the answer you need. - Can you guess the alphabet? - Play from A to Z, and guess them all. - One letter clue and one picture clue, can you guess the answer? - Not just for kids, this will make the scholars holler! This page contains the correct answers for the 100 levels in "F is For" pack. The levels are randomized on each device, below you will find the answers sorted in alphabetical order and by number of letters, so you can easily find the answer you need. This page contains the correct answers for the 100 levels in "E is For" pack. The levels are randomized on each device, below you will find the answers sorted in alphabetical order and by number of letters, so you can easily find the answer you need. This page contains the correct answers for the 100 levels in "D is For" pack. The levels are randomized on each device, below you will find the answers sorted in alphabetical order and by number of letters, so you can easily find the answer you need. This page contains the correct answers for the 100 levels in "C is For" pack. The levels are randomized on each device, below you will find the answers sorted in alphabetical order and by number of letters, so you can easily find the answer you need. This page contains the correct answers for the 100 levels in "B is For" pack. The levels are randomized on each device, below you will find the answers sorted in alphabetical order and by number of letters, so you can easily find the answer you need. This page contains the correct answers for the 100 levels in "A is for" pack. The levels are randomized on each device, below you will find the answers sorted in alphabetical order and by number of letters, so you can easily find the answer you need. 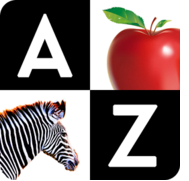 The only place where you'll find all the answers for QUIZAZ! by poptacular. - Look at the anagram, can you figure it out? Level 1: (0:00) - Make the troll fart in the space suit. Level 2: (0:15) - Peal the orange, 4 times. Level 3: (0:25) - Make the troll eat the last nut. Level 4: (0:50) - Put the motorbike helmet on the guy standing on the right, than tap the boom-box to start the harlem shake. Level 5: (1:00) - Tap the girl until she climbs up the tree, than tap the dumpster and than the girl. Level 6: (1:25) - Tap the mouth of the talking guy and slide your finger to the right. Now tap the two elephants. Level 8: (2:07) - Tap the guy, than the bathroom curtain. Tap the pink tap to start the water. Now open the curtain. Level 9: (2:33) - Tap the 2nd guy on the right, in first row. He will get on the stage and sing the troll song. Level 10: (2:55) - Tap the old troll to make him put his finger in the baby troll, now tap the baby troll, fast, until he bites the finger. Level 11: (3:10) - Tap the garbage bin to bring the gangster cat out. Now slide the troll's head down, into the jacket, than back up. Finally tap both of them to make the hug. Level 12: (3:28) - Tap the door, than the foot icon, and last the troll face icon. Level 13: (3:40) - Help the troll to gently make the twine move. Level 14: (4:07) - Tap the dot/star between the girl's head and left building. It will turn into a comet and strike the building on the right. Level 15: (4:20) - Tap, fast, the head of the troll wearing the red cap. After he finished singing the burger sign will fall on him. Level 16: (4:34) - Slide the make-up inventory bar to the right, keep doing it until you find the shovel, than use it to smash her face. Level 17: (5:00) - Tap the goat icon and slide it inside the video. Level 18: (5:17) - Tap the Mario troll and slide it over the other character. Now tap the kid. Level 19: (5:28) - Tap all the vegetables to cut them, than tap the bowl to put them inside. Now tap on the troll's nose to get a bugger and put in into the salad. Level 20: (5:52) - Tap the computer screed until you find the burning troll. Now tap above the Buddha statue several times. Level 21: (6:14) - Tap the guy's head and slide your finger towards the troll to steal his eyes, hat and hair. Than tap the troll. Level 23: (6:40) - Tap the camera's left leg, several times, to get a selfie stick, tap it again to extend it. Now tap the phone (on the table, below the video camera). Tap the phone to turn it on, Than tap the box, several times. Level 24: (7:20) - Slide your finger on the elevator door, from top to bottom. Now tap the silver button on the wall. Level 25: (7:33) - Tap the troll's pocket to get the screwdriver, and use it to unscrew the screw in his ear, Now tap his nose and wake up the little guy inside his head. Level 26: (7:50) - Tap the cloud several times to make it rain. Tan tap the rain to stop it. Now tap the rainbow until a second rainbow appears. Finally tap the forest troll. Level 27: (8:16) - Tap the sunflower troll and the animals that appear next. When you see the octopus slide it to the right and tap the last bee. Level 28: (8:40) - Tap the troll's mouth to make him laugh, now tap the slow motion camera until the red light turns on. Now tap the troll's face to make him laugh again. Tap the laptop's screen to see the slow motion video. Level 29: (8:55) - Tap the alien when he's trapped by the robotic arm. Level 30: (9:20) - Arrange the pipes so that the water will reach the man on the left. Level 31: (9:34) - Tap the cat's mouth, than the troll's mouth and finally the cat's piano. Level 32: (9:46) - Tap the "Play" button and slide your finger to the right, now tap the fast forward button and than the play button. Level 33: (10:05) - Open the curtains and tap, and hold, the moon. Level 35: (10:36) - Tap and hold the rectangle shape until it turns black, than tap it one more time. Level 36: (10:48) - Tap the right guy's head now tap his pants pocket 2 times. Now tap the troll sitting on the toilet. Level 37: (11:11) - Tap the guy 2 times. Now slide your finger up 3 times to roll the fake background up. Level 38: (11:28) - Tap above the boy's head to make the arrows appear, now just tap the left and right arrows until they become trolls, than tap the left arrow 3 times to select the troll face icon. Level 39: (12:13) - Tap the square tile in the bottom-right corner, several times, until it turns around and reveals a troll face. Now tap the troll face in the tree. Level 40: (12:25) - Tap the car, when it appears. Level 42: Just slide your finger up, on the marks in the grass, A fence will appear. Now you can safely tap the camera. Troll Face Quest Video Memes Walkthrough, Cheats, Solutions for Android, iPhone, iPad, iPod. Note: This is "Troll Face Quest Video Memes" by "Spil Games"